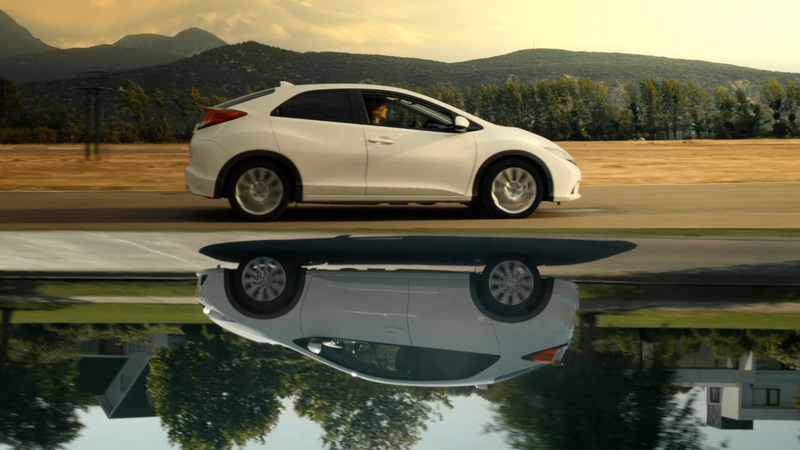 The Mill worked with Wieden & Kennedy, Stink Digital and Somesuch director Daniel Wolfe to help bring Honda's latest innovative and interactive campaign to life. The campaign aims to show the brand's other side, born from a racing heritage and thirst for innovation in order to advertise the launch of their hotly anticipated model, the Civic Type R, the wild child alter-ego of the Civic hatchback. 'The Other Side' aims to bring to life these two sides of Honda by putting fans at the heart of a high-adrenaline dual narrative. The story unfolds in two parallel tales, one set during the day and the other at night. The daytime story sees a father picking his daughter up from school in his white Civic and driving her to a surprise party. By contrast the night-time narrative shows the father's other side - an undercover cop driving a crew of art thieves to a police sting R. While very different in tone, the two stories mirror each other perfectly in their composition. 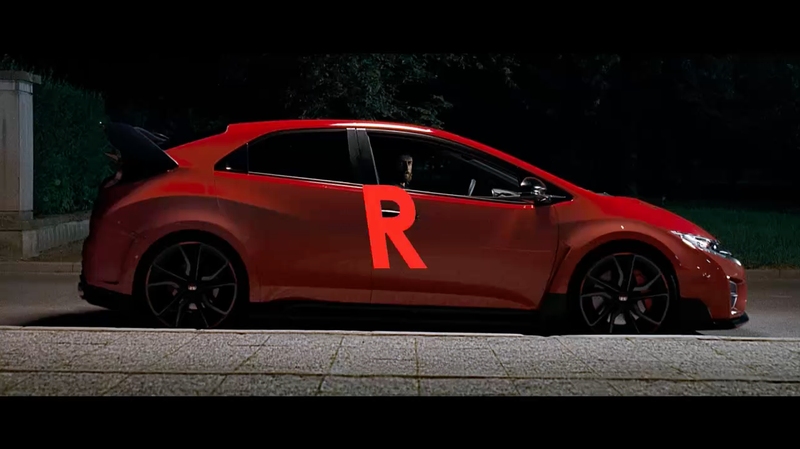 The interactive campaign means the viewer can switch between the Civic and the Type R narrative, simply by pressing the 'R' button on their keyboard. A press of the 'R' key puts the director's cut into the viewers' hands, allowing them to switch in real time between two mirrored story lines. 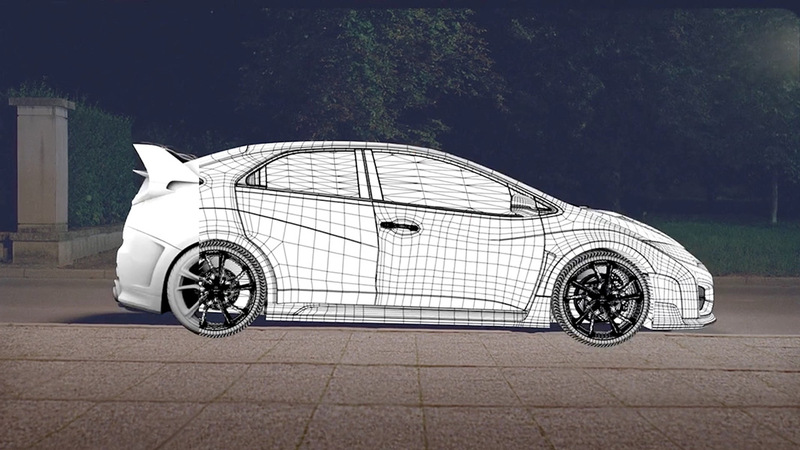 The Mill's 3D team carefully crafted the red Type R concept model, which is not yet available, entirely in CG using CAD data from the initial concepts. 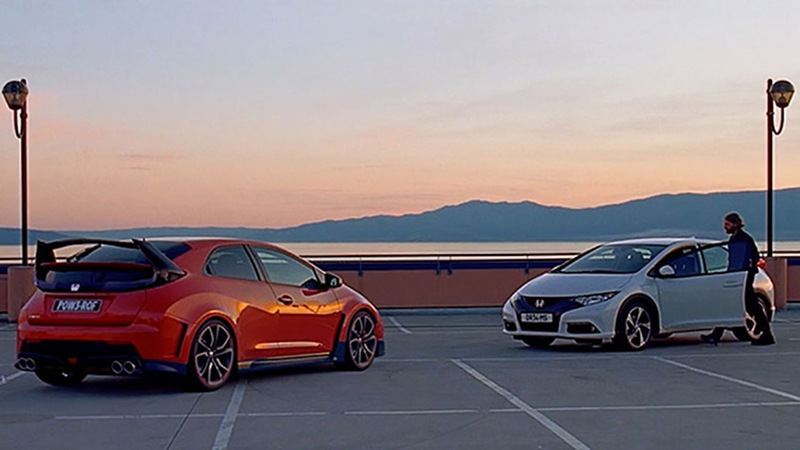 Lead 3D artist Jon Wood comments, "On set we used a standard Civic in place of the Type R. This car provided reference and meant that we could use the shadows that it cast onto the ground when recreating the Type R in CG. We created a CG car rig that utilised our Mill procedural system to switch out low resolution to high resolution at render time. 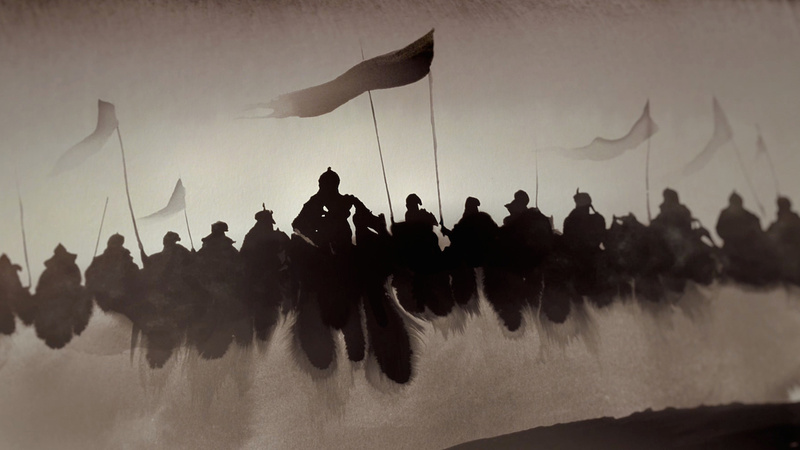 This meant our shots were light in file size and super quick to animate." The Mill's expert Flame team then seamlessly composited the CG vehicle into the night-time narrative to match perfectly with our hero's daytime alter-ego when switched using the R key. Watch the interactive ad here.